Several readers immediately recognized this location as the entrance way to the gorge between Israel's coastal plain and the Judean hills leading to Jerusalem. Today, the location is called "Sha'ar HaGai" in Hebrew (Gate of the Valley). The name "Sha'ar HaGai" can be found in the Biblical book of Chronicles II (26:9) referring to the fortified towers and gates of Jerusalem built by King Uziyahu. 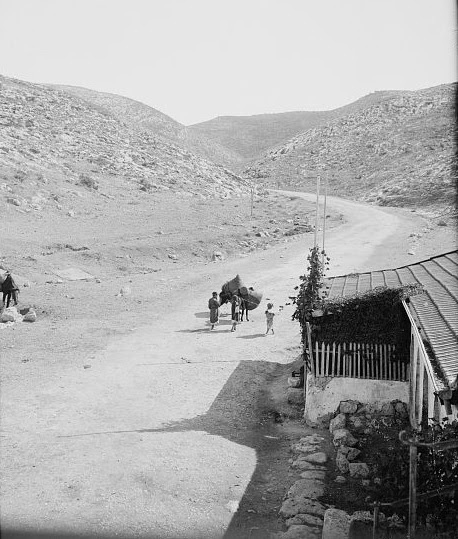 The Arabs referred to the site as "Bab al-Wad," (Gate of the Valley); the valley was called "Wadi Ali." Throughout history, this natural gorge was the chokepoint for armies seeking to put Jerusalem under siege. In 1948-49, Arab armies laid siege to Jewish Jerusalem, and major battles took place from Latrun, near Sha'ar HaGai, all the way to the outskirts of Jerusalem. "Bab al-Wad" was a popular and mournful song memorializing the convoys which attempted to break through the siege during Israel's war of independence. According to blogger Daniel Ventura, the rocky path to Jerusalem was "paved" in the 1860s and formally dedicated for the visit of Austrian Kaiser Franz Josef in 1869. The Turkish "Khan" -- wayside rest station (a precursor to a gas station) -- was built in 1873. Reader Rose Feldman wrote, "Sha'ar HaGai was the way station where horses were changed on the way to Jerusalem at the beginning of the 20th century." Ventura quotes a 19th century writer, Binyamin Ze'ev HaLevy Sapir, Jerusalem editor of The Lebanon newspaper, who reported in 1869, "The way from Jaffa to Jerusalem is almost well-finished, and two horse-drawn wagons come and go every day. 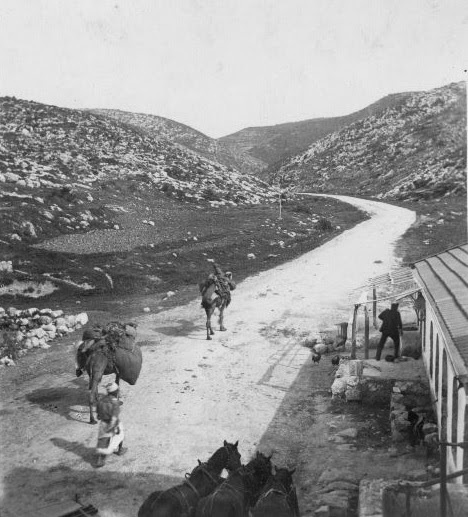 The trip from Jaffa to Jerusalem takes 10 hours, and horses are switched at Bab al-Wad." Actually a "Kahn" was a caravanserai or a roadside inn where travelers could rest and recover from the day's journey and to rest and feed their "beasts of burden" whether they be camels, donkeys or asses.